Barry attended strategic meetings of The Word for the World in South Africa in August. The general sense is that we are an organisation which is very much on the move. 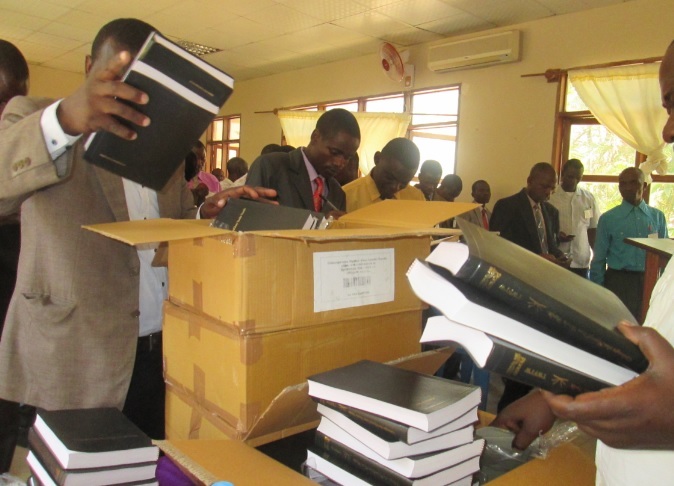 We have published 2 Bibles, 26 New Testaments, and 81 New Testaments are currently in progress. Our average translation rate achieved is 11.6% of the Bible per year. Our current 109 projects are impacting 36 million people, giving them access to God's Word in their own language for the first time. Since 1981, 1128 people from 26 nations have participated in our Diploma in Bible Translation training programme (DBT). At present, 354 students are enrolled for the Diploma in Bible Translation course from 13 countries and represent 140 languages with a definite Bible translation need. The great majority of our students are involved in first-time translation of the Bible into their language or preparing to do so.